Outdoor recreation exhibit in the special collections gallery in the Marriott Library, Monday Feb. 29, 2016. Utah and outdoor recreation go hand in hand. From desert to forest, from mountain tops to salty lake beds, Utah is home to a variety of landscapes that can satisfy every craving for adventure. 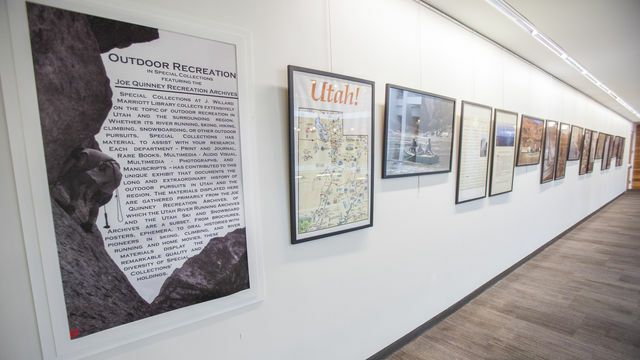 In light of this, the Marriott Library’s Special Collections Gallery on the fourth floor is playing host to an exhibit exploring the rich history of outdoor recreation in Utah. 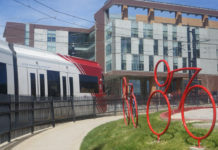 Drawing from the Marriott Library’s archives, the exhibit is a multimedia tribute to historical and contemporary forms of outdoor recreation in Utah. 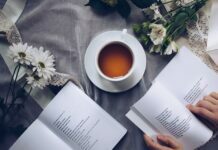 “Marriott Library’s Special Collections is known for its Ski and River Running Archives, but we can offer a wide range of interesting material for outdoor enthusiasts of all kinds,” said Jessica Breiman, the interim special collections liaison to Digital Library. 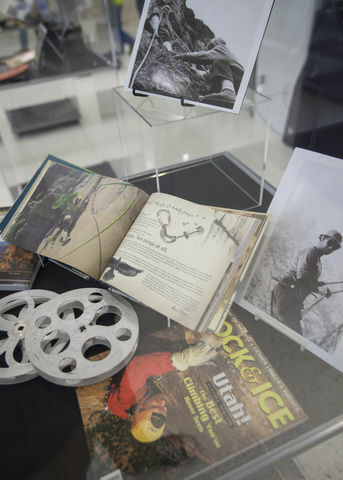 Special collections offers a vast resource for students and the general public to access information and history on the outdoor recreation scene in Utah. The exhibit is spread throughout the main lobby area and the wraparound hallway on the fourth floor of the library. Items are pulled directly from all departments within special collections, audiovisual, multimedia photographs and manuscripts. The exhibit displays interesting links to U history in particular, and many of the displays draw on photographs and articles related to outdoor pursuits by U students through the years. One of the displays shows the first ski team formed at the U in 1947 and a more recent picture of the U ski team at the NCAA championships in 2010. 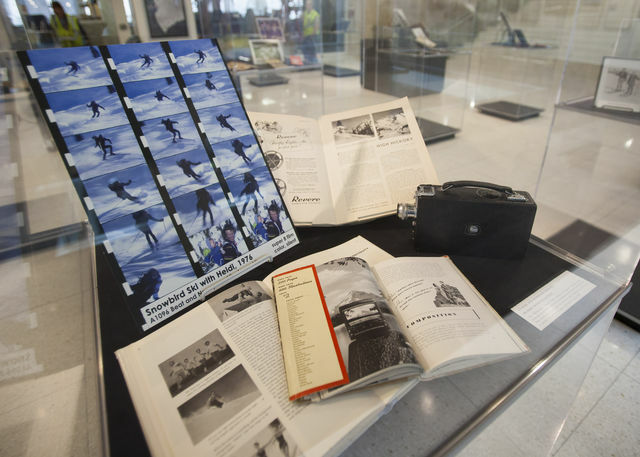 The exhibit also features posters from the early days of the campus Outdoor Recreation Program, listing outdoor course offerings beneath black and white photos of students traversing mountainsides or sailing on the Great Salt Lake. As you browse through the exhibit you may find yourself learning something new from the glass displays, such as the history of the “10th Mountain Division,” a division of the United States military activated during World War II. The division was trained to fight in mountainous and arctic conditions, and many of the division’s veterans settled in the Rocky Mountains, influencing the development of local ski areas. The display shows old photos of the soldiers traversing craggy ridges among other artifacts. 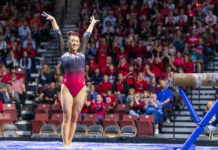 The outdoor recreation scene in Utah directly linked to the landscape we call home, according to Breiman. If you are like many students, you probably do not know much about the Marriott Library’s special collections section. The outdoor recreation exhibit is the perfect way to educate yourself on a diverse and interesting resource offered by the library. The exhibit is on display until May 1.